Mental Health: I am living with Bipolar Disorder and Obsessive Compulsive Disorder. I share my experiences with mental illness for to main reasons; to spread awareness and to show people like me that they are not alone. Housewife Confessions: I never planned on being a full-time housewife, or living on a farm…. but now I’m doing both, and I absolutely love it. In this category I write about my marriage, myself, and some of the things I’m discovering along the way. Cooking: Here I share some of my favorite step-by-step recipes and food stories. I hope you’ll try the recipes, and enjoy! And always: Cook Long and Prosper. Geek: Being a geek means never having to play it cool about how much you love something. Geeks are allowed to be unapologetically enthusiastic about things, and that’s what I’m doing here. Not Alone Series: This is a series that allows individuals to tell their mental health stories on my blog and social network platforms. I hope that people will read these stories and realize that they are not alone. Collaborations and Contributors: This is a place for me to share collaborative works. Please, contact me for collaboration inquires. For more information and for collaboration inquiries, please contact me. I would sincerely love to hear from you. You can also connect with me on Facebook, Instagram, and Twitter. So Elizabeth, you decided to join the small clan of Uncle Spike followers, sometimes known as The Spikey’s…. That makes me a happy blogger now – I really appreciate you making that special mouse click. Thank you, Crazy Mom. I love the name of your blog. You’ll get the hang of it pretty quickly. Follow “The Daily Post”, they post writing prompts daily and weekly, sometimes I rise to the challenge, they are pretty cool prompts. Check my page out (Click the black menu bar at the top of my page). I blog about a lot of different topics, but that’s the cool thing about blogging, isn’t it? We can write about whatever we want. I’m glad to see you’re doing well. It’s nice to hear from you. How has the blogging world been treating you? It’s been well, thank you! I’ve really enjoyed it the past several months, and have gotten to the point that I feel badly if I don’t get to post! lol. How have you been? 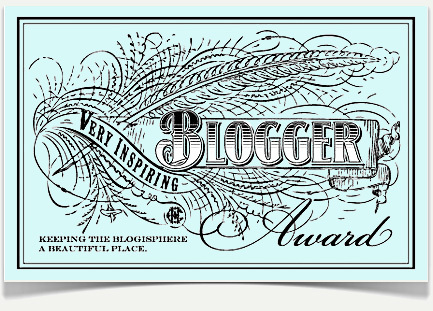 One of my readers: libbyvanhelsing, at Libby’s Piece of Mind has nominated me for the Very Inspiring Blogger award. In accepting this Award, I am required to nominate fifteen other blogs which I feel are deserving of this recognition. Coolest blog I’ve seen in a while. Your wedding duds say it all. Talent. Pure talent. And not a “precious” bone to be found. Catherine, thank you very much! I appreciate it. Hello! I’ve just found your blog, via a weekly challenge you wrote. It’s a great blog! I’m quite new to blogging and write about lots of different things. We live on a yacht in Greece, but are currently in the uk visiting friends and family. When we get back to the boat, my blog will mostly be about sailing, and the places we visit, but at the moment it’s a rather random blog about what I get up to every day. HI! I am really enjoying your blog. I will check out more later. My kids have reached the point where they feel like Mama has had enough computer time and they plan on distracting me by doing their interpretation of Thunder-dome……”2 May Enter…..” 🙂 I just started my second blog. I had started one about seven years ago, but that was before kids. My life has changed so much that I decided to start a new one. I’m still working to get more readers and get going on this new blog. Any advice from you would be greatly appreciated!! I hope you have a great, blessed day!! Just had to acknowledge that awesome nod to Star Trek in your introduction. That put a smile on my face. Have a great day!